Home » Entertainment » Latest News » Who Shot Palestinian Icon Naji Al-ali? Who Shot Palestinian Icon Naji Al-Ali? Naji al-Ali was one of the Arab world's most popular satirists and cartoonists; his life's work targeted the corrupt and the powerful. His art was ruthless, sarcastic and bold, attracting a huge audience - and no shortage of enemies. He was assassinated on a London back-street. He died on 29 August 1987. Thirty years later, the gunman who killed him remains unidentified and at large - but, in a landmark decision, British police have agreed to renew the investigation into the Palestinian artist's murder, today releasing never-before-seen intelligence and issuing a fresh appeal for information that may shed light on his death. Naji al-Ali's work survives him - on the walls of refugee camps from Yarmouk in Damascus to Lebanon's Ain al-Hilweh, Shatila and Jordan's Zarqa, to Israel's separation wall, to necklaces, keychains and home decorations seen around the world. Al-Ali's most famous creation was Handala, the refugee boy who never showed his face. Handala became an immortal symbol of Palestinian defiance, with, in the words of Edward Said, "permission to narrate" their story. In the three decades that have passed since his death, al-Ali's cartoons continue to resonate across the Arab world, telling stories about a region that remain as true today as when the artist was alive. They are stories of a region wracked by wars, human rights abuses, injustice and inequality - where immense oil wealth has done little for the struggling masses. His body of work included 40,000 cartoons focused on those in power, exposing corruption and suppression of free speech through censorship and restrictive media laws. His cartoons targeted not just the usual suspects - Israel and the United States - but also took aim at the hypocrisy of the Palestinian leadership, Iran, and the regressive and repressive Arab regimes. And it wasn't just in the Arab world where he was loved. In 1984, The Guardian described him as "the nearest thing there is to an Arab public opinion". The Times Magazine said "this man draws with human bones". And, in 1988, the International Federation of Newspaper Publishers posthumously awarded him the Golden Pen, calling him "one of the best cartoonists since the 18th century". Ian Black, The Guardian's Middle East editor and a visiting senior fellow at LSE's Middle East Centre, told The New Arab that al-Ali gave a voice to those who could not write or speak against their oppressor. "Naji al-Ali was seen in the West as a very unusual Arab - and particularly Palestinian - voice in countries and systems where there was no routine freedom of expression," he said. "Handala, I think, remains his most important legacy to this day, 30 years after he was killed." 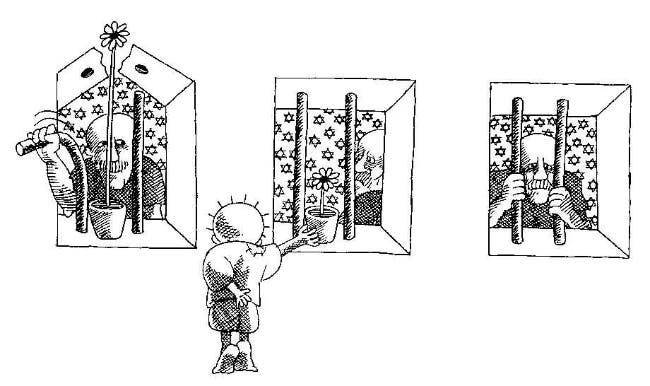 Above: (Read right to left) Handala, Palestinian refugee child, visits a Palestinian prisoner. Al-Ali's Palestinian identity was central to his expression, drawing attention to what he went through as child of the Nakba; the loss of a homeland. In the opening decades of the Israeli occupation, the plight of the Palestinians needed public recognition, and al-Ali succeeded in painting a human portrait of a people whose history and narrative were to be overlooked, subverted and undermined from 1948 onwards. Palestinians had most often been portrayed, at best, as passive victims - or, more frequently in Europe, as terrorist thugs. 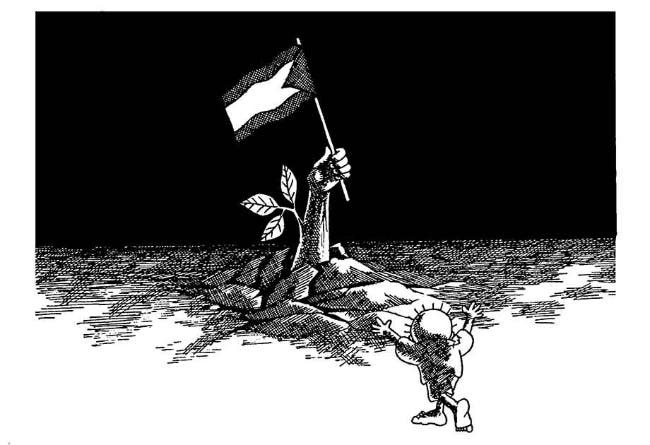 Al-Ali's cartoons were able to change this perception, using powerful imagery to convey political messages rejecting the status quo, oppression and occupation, yet promoting the Palestinian cause and forcing the world to recognise the Palestinians' existence as a people. Handala was an embodiment of all that in one tragic, heroic character. Naji al-Ali was loved for his work and for his passion to defend the poor and powerless, but his cartoons also earned him many powerful enemies. In 1983, following threats from the Phalangist militia in Lebanon, he moved his family to Kuwait. However, resenting his work, the authorities there made sure he didn't stay long. "They expelled me from Kuwait [to London] under pressure from Saudi Arabia and maybe even from the PLO," he wrote. "They knew there'd be a big fuss if I was killed inside - easier to pin the blame on someone. If I'm killed outside - in London - you couldn't easily know who did it." Al-Ali received as many as 100 credible death threats. One of his colleagues, who asked to remain anonymous, told The New Arab that a senior member of the Palestine Liberation Organisation - then known for its commitment to the armed struggle against Israel rather than the political body it later became - had phoned the cartoonist in mid-June 1987, telling him: "You must correct your attitude." 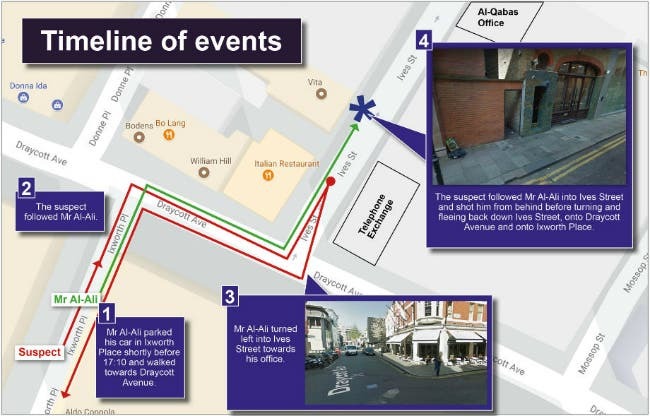 Four weeks after that phone call, on Wednesday, July 22, 1987, al-Ali parked his car on Ixworth Place in London's upscale Chelsea neighbourhood. He walked down into Draycott Avenue and turned onto Ives Street. He was on his way to work at the London office of the Kuwaiti newspaper, Al Qabas. Witnesses reported seeing him being followed by the suspected gunman, who they described as being of Middle Eastern appearance and aged about 25, with collar-length thick wavy black hair. The assassin was wearing a stonewashed denim jacket and dark trousers. He pointed his gun at 17:10 and shot Naji al-Ali in the back of the neck and ran, making his escape in a silver-grey left-hand drive Mercedes. "The brutal murder of Mr al-Ali devastated his family, and 30 years on they continue to feel the loss," said Commander Dean Haydon, head of the Metropolitan Police’s Counter Terrorism Command. "We have previously reviewed this case and followed a number of lines of enquiry which have not resulted in us identifying these two men [the gunman and the driver]. However, a lot can change in 30 years - allegiances shift and people who were not willing to speak at the time of the murder may now be prepared to come forward with crucial information." But there were witnesses. Above: A map and timeline of the murder. "The gunman was seen following Mr al-Ali for about 40 seconds before he shot him. Despite the briefness of the attack, witnesses were able to give investigators a good description of the suspect." The driver of the Mercedes was also described as being of Middle Eastern appearance, aged in his 50s, about 5ft 9ins and of medium build, but with heavy shoulders, "fat face and a bigger-than-average" nose. He was of smart appearance and wore a grey suit. 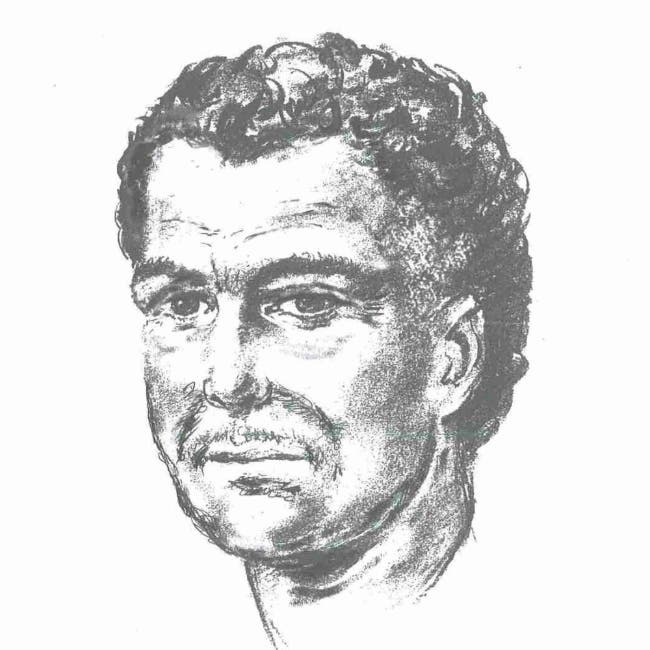 Above: A composite of the suspect. It believed that the registration number of the car contained the letters P and H in the first part and may have ended 11L. 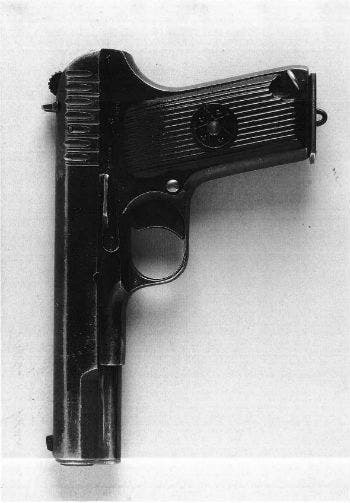 The gun, a 7.62mm pistol, was found in open space on the Hallfield Estate in Paddington almost two years after the murder, on 22 April 1989. Specialists carried out forensics analysis of the gun, and determined that the marks left by the firing pin on the ejected cartridge case recovered from the scene matched those left on bullets during test firing. The gravely wounded artist was taken to the neurosurgical department at Charing Cross Hospital. He never regained consciousness, and died five weeks later at 5:00am on 29 August 1987, aged 51. He had been born in 1938 in the Palestinian village of Al Sharjara, one of the 480 villages destroyed in 1948, during the Arab-Israeli war known as Al Nakba or "the catastrophe". Al-Ali was 10 years old when he, and more than 750,000 other Palestinians, fled their villages and towns. Today, there is no trace of Al Sharjara on the map; it has been replaced by a settlement named Ilaniya. Above: The Metropolitan Police have released a picture of the murder weapon. 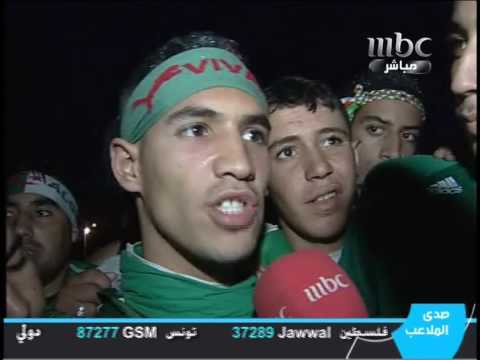 His family's flight from the militias which were to become the Israeli army took him to Lebanon. He was understood to want to be buried in Ain Al Hilweh refugee camp in Beirut, beside his father. But he didn't leave a will, and his wish proved impossible. Today he is buried at Brookwood Cemetery in the English county of Surrey. Many Middle Eastern commentators maintain that al-Ali was killed as part of a PLO campaign to silence its biggest critics in Europe and the Middle East. But anyone who might have crucial information on the motivations of the Palestinian leadership of the time have been reticent in coming forward. "The conclusion is clear," said The Guardian's Ian Black. "Naji was likely to have been the victim of Palestinian action, as he was more critical of his own people. 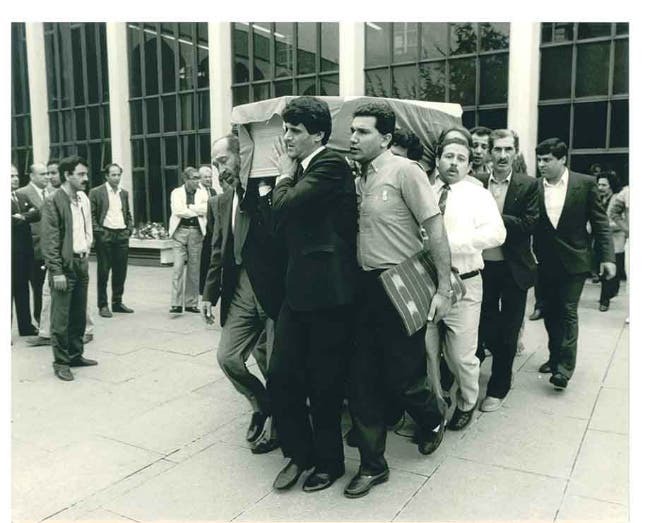 He certainty was not a friend of the Israelis, but Naji's preoccupation was with the Palestinian leadership and more widely with Arab governments who he felt were corrupt and unjust." Black once wrote: "Naji's work remains quirky and moving but Naji's vision was unlikely to come true." Ten years have passed since the veteran journalist made that statement. Does he, in 2017, still feel the same? "I think what I wrote then is still quite true; I do not believe that it is likely that the dream and goal of Palestinian liberation, return to the lost homeland, return of the refugees is likely to ever take place." Political prospects are arguably worse now than ever before. The Palestinian leadership, under Arafat, signed the Oslo agreement in 1993 in hope that it would lead to the creation of a Palestinian state. It failed. But millions of Palestinians still believe in this dream. And it was this dream which led to al-Ali's most famous creation. Born in the midst of despair, in a letter dated 5 June 1967, Naji al-Ali announced the birth of Handala. The letter explained that Handala's mother was named Al Nakba, and he possessed no identity card nor held any nationality. Handala did not know his shoe-size - as he had never owned a pair of his own. Handala was born at 10 years old, said al-Ali, and he would remain so, without aging, only starting to grow older when he returns home to Palestine. "The laws of nature do not apply to him," wrote al-Ali. "He is unique. Things will become normal again when the homeland returns." Above: Handala joyfully runs towards a resurrected Palestine. Handala, with his tattered clothes, thorny hair and bare feet resembles the children in the refugee camps spread across the region. He is always portrayed from the back, usually with his hands clasped, in a symbol of opposition to dominant Arab political culture and the rejection of an outside resolution to the Palestinian plight. "I presented him to the poor, and named him Handala as a symbol of bitterness," said al-Ali. "At first he was a Palestinian child, but his consciousness developed to have a national, and then a global and human horizon - and this is why people adopted him and felt that he represents their consciousness." Following the artist's murder, detectives from Britain's Special Branch arrested 10 people. All were subsequently released due to a lack of evidence. Even an additional investigation by MI5, Britain's domestic spy agency, failed to discover the assassin's identity. One of those arrested, Ismail Sowan, was found to have a large stash of weapons and explosives. Further investigations found that he and another Palestinian in London were Israeli double-agents for the Mossad spy agency, placed within a PLO "hit squad". Israel, it transpired, had advance knowledge of the killing. The investigation was never "closed", police say - but the trail has run decidedly cold. It remains a wide-ranging investigation with international avenues to pursue. But the investigation will only officially close when those responsible are brought to justice. Ian Black remains sceptical whether this new appeal will generate any new leads. "I think we can see governments perhaps knowing more about this than they are saying," he told The New Arab. "But that it may suit their interests to not to pursue this." Commander Dean Haydon is open-minded about the motivations behind Naji al-Ali's murder: "We believe there are people somewhere who have information that could help us bring those responsible for his murder to justice." Handala remains the ten-year-old refugee child, perhaps forever lost, in search of his homeland and for justice for his creator. Perhaps you can help him. Anyone with information is urged to call the investigation team on 020 3276 9014 (or 0044 203 276 9014 if calling from outside the UK). Alternatively, to remain anonymous, call Crimestoppers on 0800 555 111. Copyright @ 2017 The New Arab. Humans and The Extraterrestrial: Who is Searching Who! 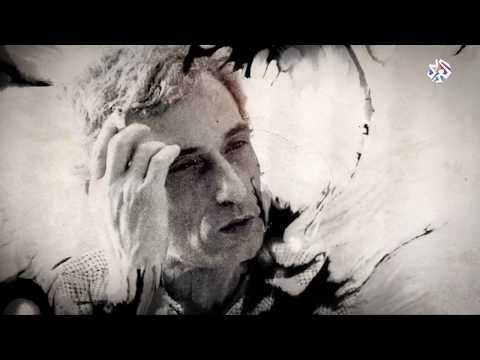 Promo: "I Was There: The Assassination of Naji al-Ali"